All-Fit are a national provider of survey and installation services for public housing organisations with a national network of surveyors and installers. With an expanding customer base, managing large quantities of addresses and associated staff required an online system, accessible from anywhere in the country. 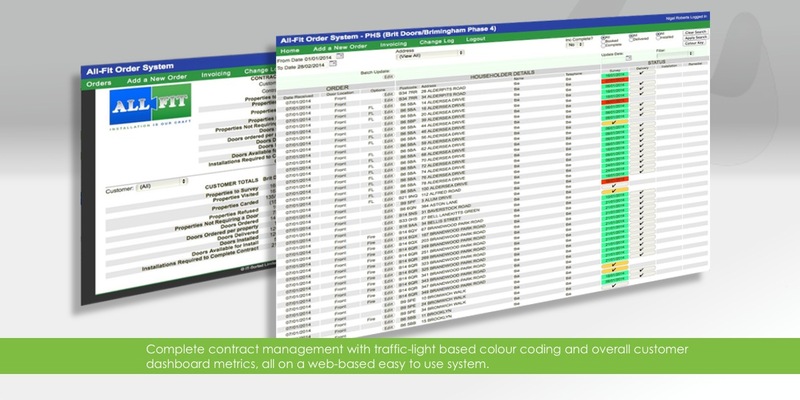 IT Sorted developed a bespoke Order Management system, giving employees access to address lists with visual indication of survey and installation status. 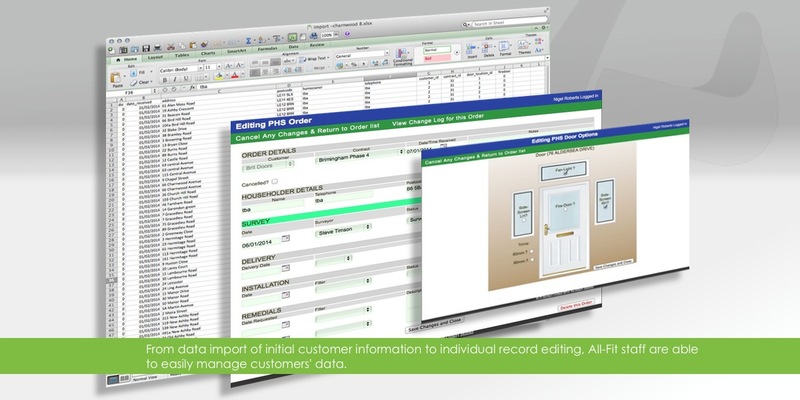 In addition, customer dashboards give real-time management information pertaining to overall customer contract status. This system is also hosted at IT Sorted premises, facilitating full management of operating system updates and offline backups. As an expanding business we have partnered IT Sorted for over 6 years. Their ability to deliver bespoke, on time solutions within budget is unprecedented and has greatly helped our business achieve excellence in customer satisfaction.